Created by the Chief Change Maker of Black Celebrity Giving (BCG), Jasmine Crowe, in 2013. The idea for Sunday Soul was to provide men, women and children experiencing homelessness with a hot, home-cooked meal complete with amazing volunteers and classic old school music. Two years later, we introduced the Sunday Soul Pop-Up Restaurant to provide a 5-course meal, restaurant style for the homeless. Our latest concept is #SundaySoulToGo and we're celebrating another year of this amazing series! 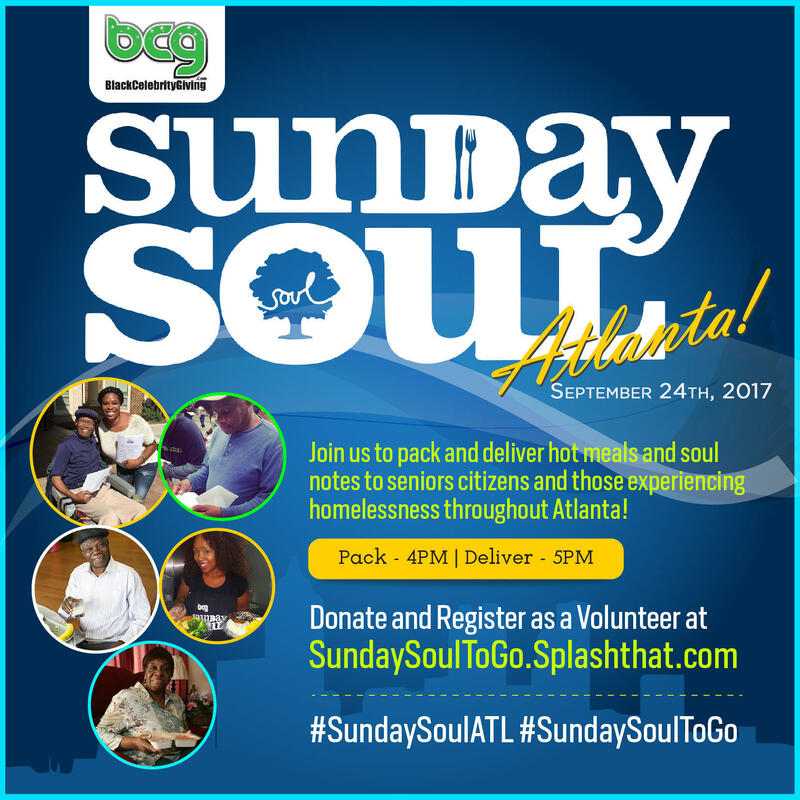 This unique activation gathers volunteers to prepare and deliver hot to-go meals for senior citizens living in assisted living facilities and to those experiencing homelessness throughout the city of Atlanta. We’ll also spread some soulful love by sending “soul note” words of love and encouragement to those we’ll serve. Be part of an amazing afternoon in helping us deliver over 300 meals to those in need. We hope to see you at the Sunday Soul To-Go event on September 24th! Funds help us make it happen, no amount is too small, donate $1 or $100 to help us buy food, boxes, cards and more. 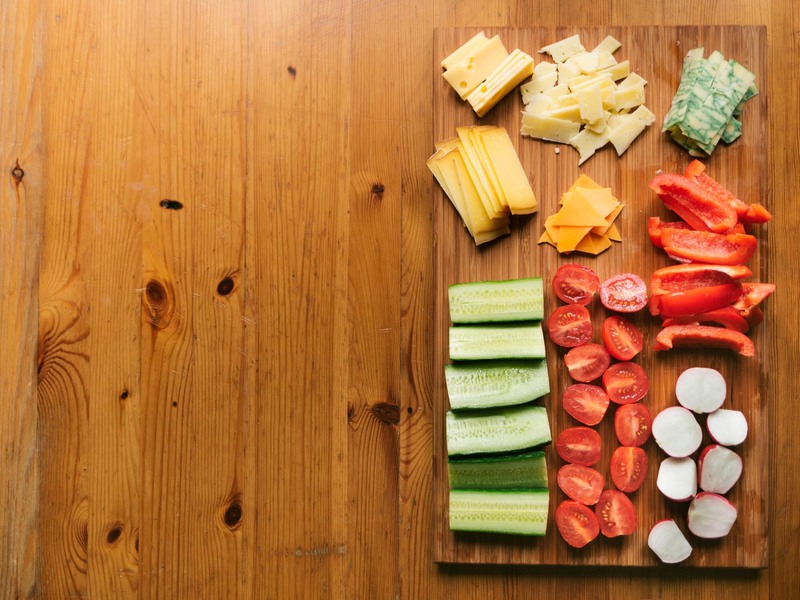 Bring Goods to the Party! Groups are invited to join us as a service provider to join us. We need delivery drivers, packers and people with great handwriting to write our soul notes. If your group wants to serve with us email giveback@blackcelebritygiving.com! All volunteers are asked to arrive to the location at 4pm. Please note that we will send out the detailed location details the week of September 18th. We will hold a brief volunteer meeting and assign roles at this time. Immediately after the meeting, we'll begin packing boxes and writing soul notes. It's time to deliver some smiles, we will dispatch groups of 2 or more to select locations including: area parks and bridges where people experiencing homelessness live. Volunteers will deliver hot meals with soul notes attached and cold drinks.Group of volunteers stay to breakdown tables and prep items. We will also deliver meals to the seniors living on site, this will be a fun afternoon of giving back! All deliveries should arrive to our guests by this time, thanks for serving with us and please take a lot of photos! Share all of your giving photos using the official hashtag!